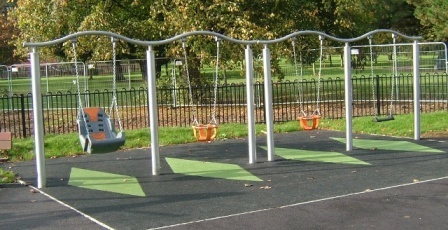 This post swing frame can cater for various swing seats – Mirage, Cradle & Flat seats. The swing axle is a maintenance free roller bearing with integrated swivel device. Range of alternative seat types available and powder coated swing crossbeam also an option.